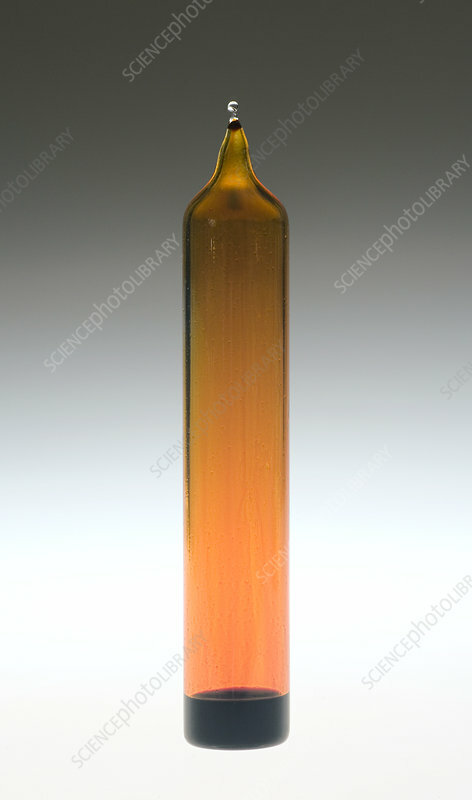 Elemental Bromine, Halogen (in glass ampoule). Bromine is a non-metallic element, and the only non-metal that is a liquid at room temperature. The liquid is weakly bonded and easily evaporates to form the gas seen here, which has spread out to fill the jar by diffusion. Bromine is part of the halogen group of elements. It is extremely toxic and takes its name from a Greek word meaning stench.